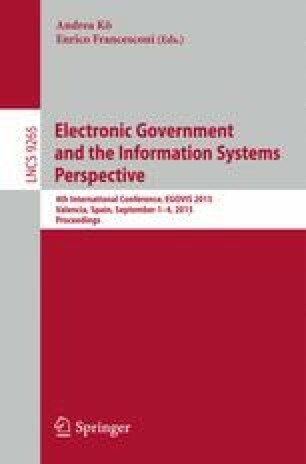 The purpose of this study is to verify the statistical validity of a collaborative public sector innovation model in the Brazilian Federal Government context. This model essentially addresses aspects of co-creation, public sector innovation, and innovation ecosystem. Structural Equation Modeling results show a good model fit. It is concluded that the creative collaborative processes (co-creation) may generate new public values and foster public sector innovation. This stimulates the development of an innovation ecosystem supported by new public values and co-creative dynamics. to Minas Gerais State Foundation for Research Development (FAPEMIG) – Brazil. CC 1. Citizens have access to relevant, transparent and open public information. CC 2. Citizens communicate and discuss their needs openly. CC 3. Citizens work collaboratively with our organization. CC 4. Citizens actively participate in collaborative government practice improvement processes. IE 1. Our organization fosters citizen’s voluntary mobilization around themes that demands innovative solutions. IE 2. Our organization encourages citizens to share knowledge and propose new ideas or new solutions to solve problems. IE 3. Our organization designs and implements regulation (rules, criteria, specifications) and platforms related to co-creative practices among state and non-state actors. PSI 1. Implemented brand new practices related to services; policies; stakeholders interactions. PSI 2. Generated new public values (new problem solutions, best results to community, increased trust). PSI 3. Has facilitated citizen’s access to generated new public values (new problem solutions, best results to community).